Keep cozy with the Attack on Titan crew! 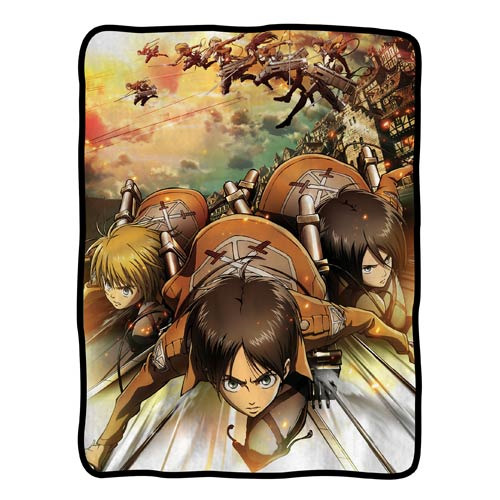 This Attack on Titan Group Battle Fleece Blanket is soft and warm, and it features all of your favorite Attack on Titan characters, including Mikasa Ackerman, Eren Yeager, and Armin Arlert! Blanket measures 60-inches x 45-inches. Ages 13 and up.